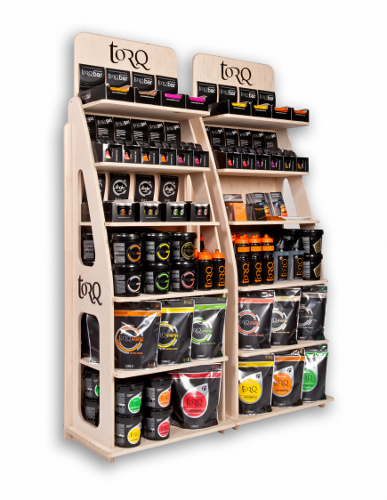 As well as re-packaging our entire performance nutrition range, we have worked with ZYRO, our new distributor in the Cycling and Outdoor markets, to develop a Point of Sale (POS) system – designed to display these products via retailers throughout the country.  The use of natural ingredients within our portfolio is echoed through the use of natural untreated wood as a medium for the new POS. This was our material of choice for the previous POS, but the new one has half the footprint of the original, yet also holds more products. 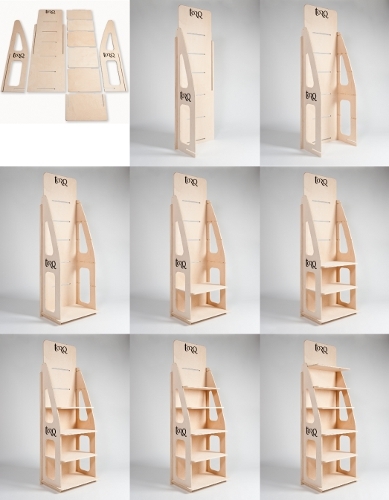 TORQ’s new POS is assembled in minutes and requires no glue or additional materials to bind it together. Just slot everything together and in minutes it’s ready to be loaded. 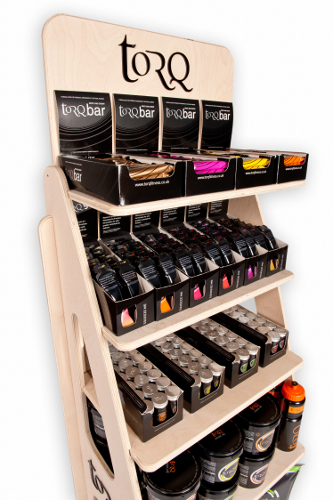 Once assembled, the top shelf displays TORQ bars, then TORQ gels on the shelf underneath. 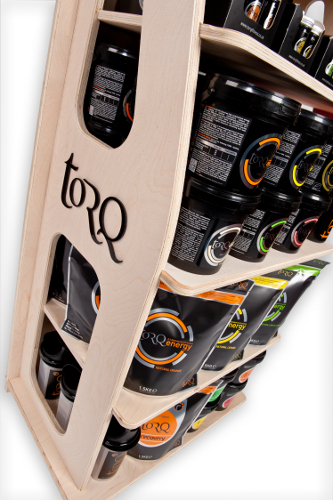 The third shelf down currently holds our Single Measure TORQ energy canisters, but these will soon be swapped over to our new TORQ energy sachets (June 2013). 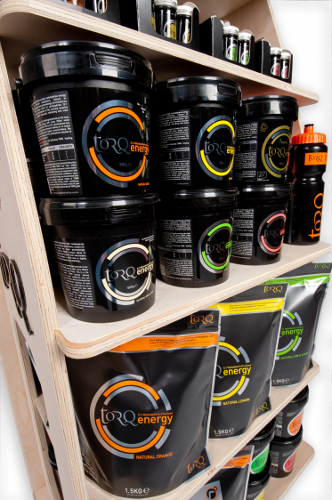 The next shelf down displays all of our 500g TORQ energy tubs as well as both sizes of drinks bottles and the shelf below that holds our new 1.5Kg TORQ energy pouches. 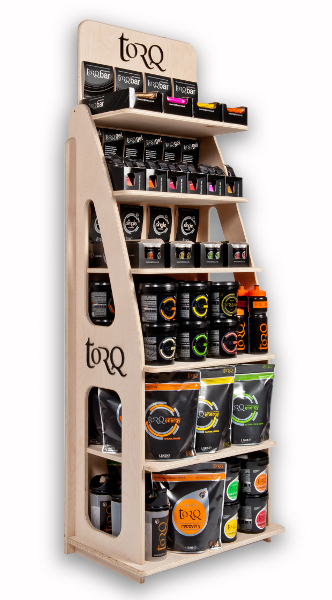 Finally, the bottom shelf holds the entire TORQ Recovery product range. 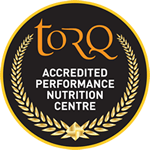 For the larger stores, we’ve also produced a set-up that allows the retailer to dispense every single product in the TORQ range from the shop floor as well as display all of our marketing literature. Hopefully if you haven’t seen one already, you’ll see one in a store near you soon.